Are you ready for a Pro level course? “Pro courses” are designed for avalanche professionals either employed or seeking employment in the avalanche industry. Applicants are screened to make sure they meet prior learning and employment guidelines. Throughout the course students are evaluated and tested on knowledge, skills, and abilities- which requires rigorous study, completion of assignments, and both written and practical testing. We will send you an application and if you meet course pre-requisite criteria we will send you a registration link. This 5-day course is for emerging snow professionals. You will learn to communicate avalanche risk between team members, observe and record snow, weather, and avalanche data to national standards. 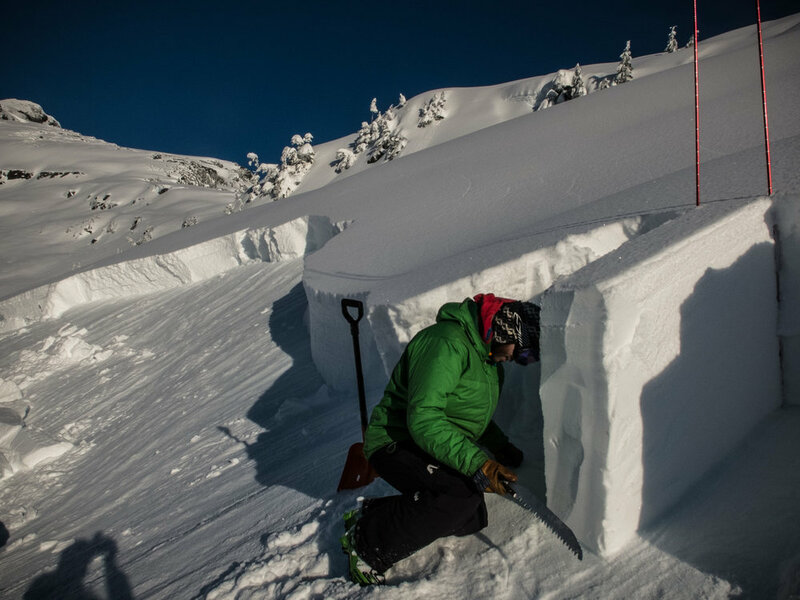 You will be required to demonstrate your travel skills and knowledge of avalanche formation, release, hazard mitigation, and solo rescue skills. Pre-requisites: Level 1 Avalanche Training, Avalanche Rescue Class, and 20+ days of relevant experience. Mike Janes, AAS Instructor and AEL&P Avalanche Forecaster and field tech Johnny Bressette conduct a full snowpack profile complete with HIT Board measurements, densities, and CT test. This work is supporting daily avalanche forecasting operations for the AEL&P Avalanche program.